Students have a blast learning about energy on field trips to energy facilities. Participants visit national labs, power plants, hydroelectric dams or many other exciting destinations where they learn the industry from energy experts. These destination field trips range from a half day to multiple days and are complete with learning lunches that have guest speakers who are industry experts, community leaders or local political figures. 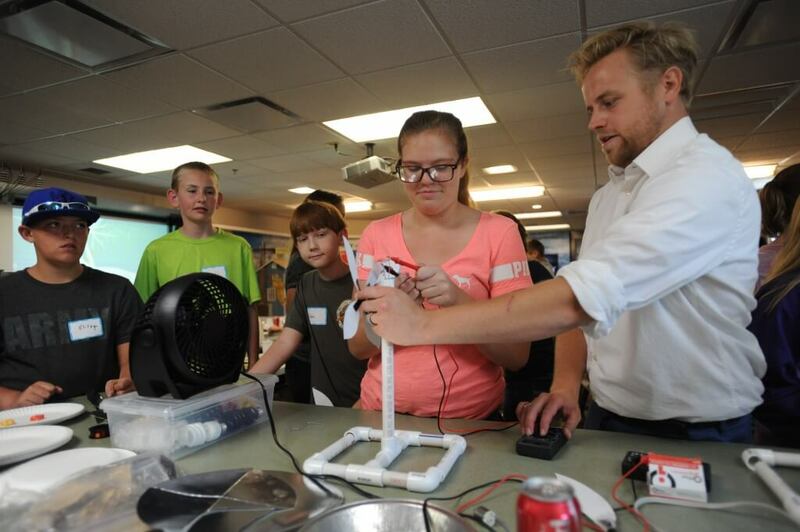 The camps are a unique way for students to explore more about energy, where it comes from and how it impacts their lives. Partnering with NEF on a student camp will help you meet workforce development and public outreach goals. Television, radio, print and social media outlets are consistently drawn to student camps and NEF has the public relations expertise to help your organization stand out.